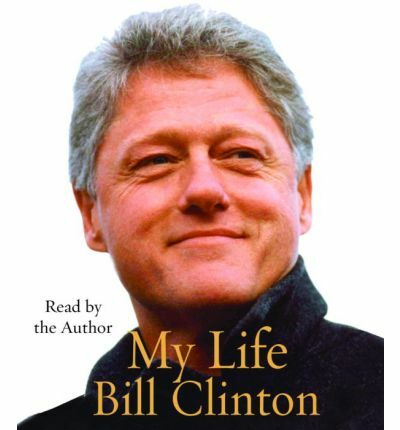 President Bill Clinton's "My Life" is the strikingly candid portrait of a global leader who decided early in life to devote his intellectual and political gifts, and his extraordinary capacity for hard work, to serving the public. It shows us the progress of a remarkable American, who, through his own enormous energies and efforts, made the unlikely journey from Hope, Arkansas, to the White House--a journey fueled by an impassioned interest in the political process which manifested itself at every stage of his life: in college, working as an intern for Senator William Fulbright; at Oxford, becoming part of the Vietnam War protest movement; at Yale Law School, campaigning on the grassroots level for Democratic candidates; back in Arkansas, running for Congress, attorney general, and governor. We see his career shaped by his resolute determination to improve the life of his fellow citizens, an unfaltering commitment to civil rights, and an exceptional understanding of the practicalities of political life. We come to understand the emotional pressures of his youth--born after his father's death; caught in the dysfunctional relationship between his feisty, nurturing mother and his abusive stepfather, whom he never ceased to love and whose name he took; drawn to the brilliant, compelling Hillary Rodham, whom he was determined to marry; passionately devoted, from her infancy, to their daughter, Chelsea, and to the entire experience of fatherhood; slowly and painfully beginning to comprehend how his early denial of pain led him at times into damaging patterns of behavior. President Clinton's book is also the fullest, most concretely detailed, most nuanced account of a presidency ever written--encompassing not only the high points and crises but the way the presidency actually works: the day-to-day bombardment of problems, personalities, conflicts, setbacks, achievements. It is a testament to the positive impact on America and on the world of his work and his ideals. It is the gripping account of a president under concerted and unrelenting assault orchestrated by his enemies on the Far Right, and how he survived and prevailed. It is a treasury of moments caught alive, among them: - The ten-year-old boy watching the national political conventions on his family's new (and first) television set. - The young candidate looking for votes in the Arkansas hills and the local seer who tells him, "Anybody who would campaign at a beer joint in Joiner at midnight on Saturday night deserves to carry one box. . . . You'll win here. But it'll be the only damn place you win in this county." (He was right on both counts.) - The roller-coaster ride of the 1992 campaign. - The extraordinarily frank exchanges with Newt Gingrich and Bob Dole. - The delicate manipulation needed to convince Rabin and Arafat to shake hands for the camera while keeping Arafat from kissing Rabin. - The cost, both public and private, of the scandal that threatened the presidency. Here is the life of a great national and international figure, revealed with all his talents and contradictions, told openly, directly, in his own completely recognizable voice. A unique book by a unique American. "From the Hardcover edition."